Insurers that relinquish traditional approaches to business are likely to benefit from digital disruption. Watching Apple’s market cap breach the US $ 1 trillion barrier, before pulling back to still stellar levels, I had to remind myself what life was like before the iPhone arrived. The launch of the first iPhone in 2007 triggered huge disruption among cellphone suppliers and set Apple on the path to soaring growth. It also paved the way for today’s ubiquitous mobile music, video and audio businesses. The Apple Watch looks to be doing something similar in the health industry. The iPhone, together with other innovations such as Amazon’s online retailing (launched in 1994) and Netflix’s streaming movie service (2007), have come to symbolize the power of “big bang” digital disruption. They’re ground-breaking products and services that have rapidly transformed industries. They’ve helped topple once-dominant industry leaders and propelled agile pioneers to the forefront of lucrative new markets. Insurance executives I talk with often express their concerns about being broadsided by sudden digital disruption that could overturn their traditional markets. These concerns are valid. The swift rise of motor-vehicle insurance aggregators in the UK market, for example, shows how new technologies and services can quickly challenge conventional business models. 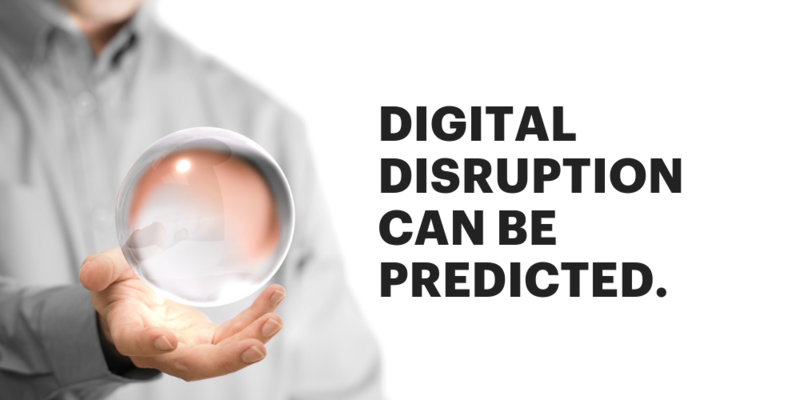 However, most digital disruption isn’t sudden. Nor is it unexpected. Our research shows that digital disruption is usually a gradual process that slowly compresses companies’ revenue and profit margins. What’s more, it can be predicted. Compressive disruption often catches companies off guard because although it is continuous it’s not consistent. And while it affects all industries, it impacts some more quickly and more intensely than others. To gauge the likely effects of digital disruption across different industries we analyzed more than 3,500 big companies in major industries across the globe. We examined 15 key factors of current and future disruption. Most insurance executives acknowledge the growing threat of digital disruption. However, history shows us that former industry giants BlackBerry, Borders Bookstores and Blockbuster Video all recognized that their businesses were under threat from disruptive digital products and services launched by Apple, Amazon and Netflix. Nonetheless, they were unable, or unwilling, to quickly change their businesses and embrace new digital technologies. As a result, they surrendered their market dominance. How can insurers best respond to the challenge of digital disruption and protect their hard-won markets? 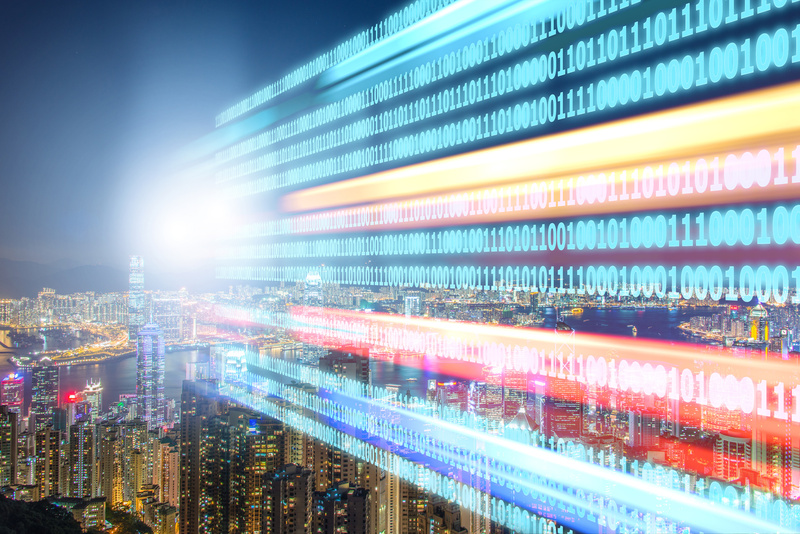 The most effective way to for insurers to counter digital disruption is not to simply keep a lookout for stellar new products that could suddenly undermine their conventional offerings. Nor is it to just hunker down and work harder at improving their core business. Both activities, of course, are necessary. However, the best response, according to our research, is for insurers to start transforming themselves into agile “living businesses” that can quickly adapt to new threats and opportunities. Digital disruption would then be less of a threat. Instead, it’s likely to become a big opportunity. In my next blog post I’ll discuss how insurers should begin transforming themselves into living businesses. Until then, have a look these links. I think you’ll find them helpful.